Obtained by Hydro distillation of Cymbopogon winteranius Jowitt, our Citronella Oil Java type is the volatile oil. 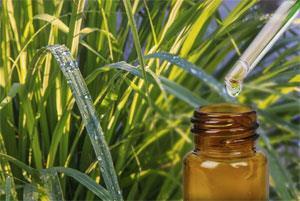 The Citronella Oil offered by us is widely used in various deodorants, insecticides, tonics, etc. and is widely appreciated for its use as an insect repellant. The Citronella Oil has a rose like odor and bitter in taste. It is virtually colorless to pale yellow in appearance. We offer Citronella Oil at nominal price. As an insect and animal repellent. In scented soaps, sprays, deodorants, detergents, polish, etc. In wristbands, personal wipes, and sun-block spray.